In today’s world people are becoming more and more aware of the importance of physical and psychic health, in this fast-paced tempo we look for possibilities for regeneration. 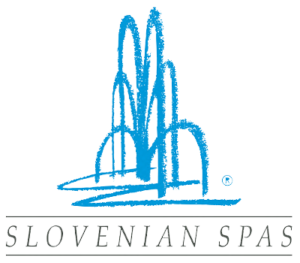 The European Natural Spas & Wellness Conference brings special insight into the extensive selection of natural spas across Europe and their healing properties of thermal water. European natural spas have long been more than just places to heal and lessen the pain, but temples of wellness and prevention. Natural spas can offer much more since thermal water and other natural elements have been helping heal for centuries. With the conference ENSPA, organized for the first time in 2012, we want to guarantee the transfer of knowledge, good practice examples and new ideas in the circle of experts and spa employees. Why Should I Attend ENSPA? • What are the trends in the spa industry? • How can the healing properties of spa water be used to prevent, renew the physical and psychic energy and preserve health? • What are the sustainable and socially responsible goals of spas? • How to encourage the promotion of health? • What should health insurance companies know? These and other questions will be covered by expert speakers from different educational, research and consulting institutions and health insurance companies. The topics will be aimed at different participant groups from managers of spa and wellness centres, doctors and medical staff to employees from marketing and sales and employees of health insurance companies.